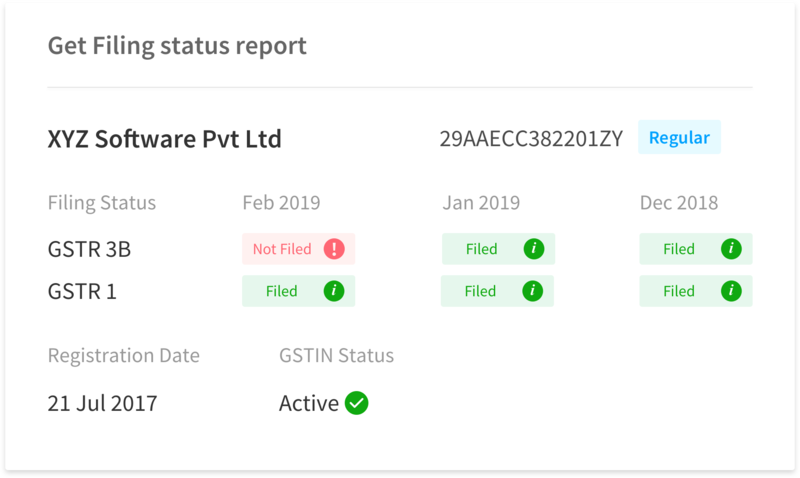 A single report that gives your GSTIN’s filing status till date, late fee, GSTR3b v/s GSTR1 tax difference and ITC difference. Get this for Free and share with your plans. How does this work? View guide here. Need help? Contact us - gstsupport@cleartax.in / 080-67458767. What is ClearTax GST Health Check? 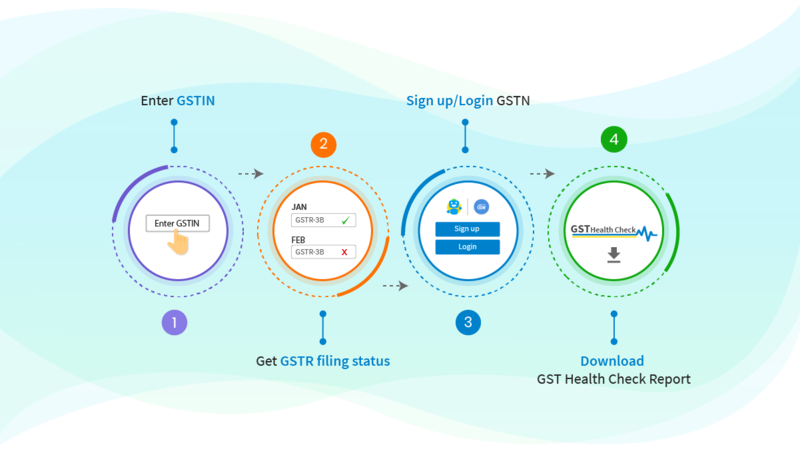 ClearTax GST Health Check is an all-in-one engine that will enable users to know a GSTINs filing history. Further, one can download a detailed GST compliance report to get insights and recommend actions to fill any gaps in GST returns. How does the GST Health Check work? Why do you need ClearTax GST Health check? This will surely help to improve GSTINs performance and rating over time. This will work as a GST Audit tool too. Common Errors made while Filing GST Returns & How to avoid! What does the Health Check Summary contain? The best part here is, this report also provides an analysis of the possibility of receiving notices and the suitable action for the same. Is it really necessary to reconcile returns? Taxpayers will be able to claim ITC only if the invoice is present as a part of their GSTR-2A data or vendor data. Therefore, taxpayers will now need to do a reconciliation wherever the ITC as per their purchase register and GSTR-2A is not matching. Furthermore, when GSTR-9 (annual return) is to be filed there will be a need for consolidation of the data that is reported over the FY. In order to ensure the accuracy of the declaration made and to avoid duplications, the taxpayer must reconcile the data, then consolidate the values and make the declaration. What kind of information related to notices and penalty can I get through this report? The report helps you understand the probability of receiving a notice because of the errors that the returns filed in the past might contain. This report will give you the tax difference payable. 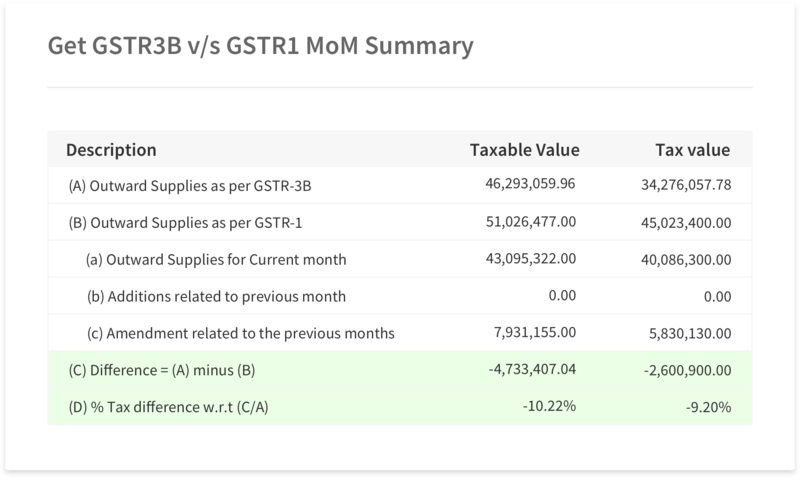 How many months of data will be available on the ClearTax GST report? 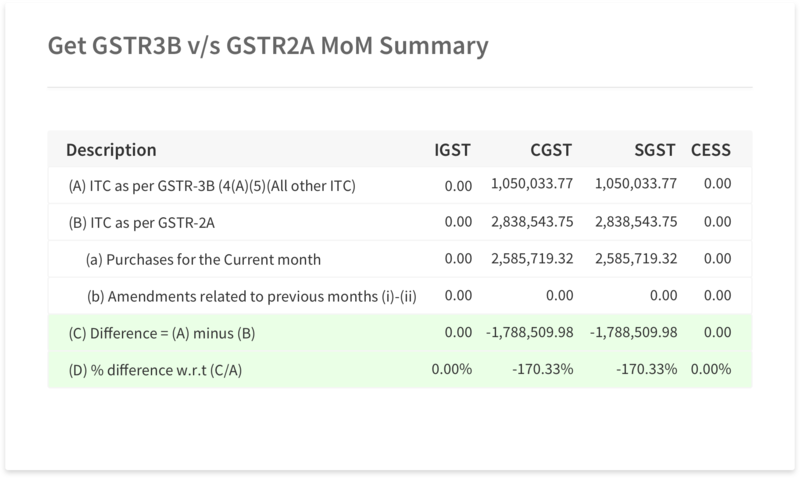 You can get a complete view of a GSTINs performance since its inception. So basically, you can get data since July 2017!